Lynn Guerriero became Assistant Deputy Minister, Negotiations and Accountability Management, in January 2015. In this role, she is accountable for oversight and management of several key portfolios, including physician compensation negotiations with the Ontario Medical Association, the Ontario Health Insurance Plan (OHIP), Provincial Programs, Laboratories and Genetics. Lynn spent the previous six years at Cancer Screening at Cancer Care Ontario (CCO), eventually serving as Managing Director. CCO is an agency of the Ontario government, accountable for driving quality and continuous improvement in disease prevention, and for screening and treatment of both cancer and chronic kidney disease. During her time there, Lynn was responsible for executing Ontario’s information strategies related to surgery, diagnostic imaging, the emergency room, and alternate level-of-care wait times. Most recently, she completed the integration of Ontario’s organized screening programs for breast, colorectal and cervical cancer. Prior to joining CCO, Lynn held various leadership roles within the hospital and community sectors. 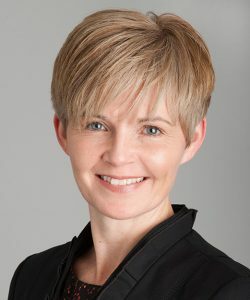 She is a clinician, holding a Bachelor’s degree in Occupational Therapy from the University of Western Ontario and a Master’s degree in Health Science, Health Administration, from the University of Toronto. She is also a Certified Health Executive with the Canadian College of Health Leaders. While at the University of Toronto, Lynn was the recipient of the Harold Livergant Scholarship and the Robert Wood Johnson Award. In 2009, she received the Canadian Project Excellence Award for Project Leadership.